1 Pedra da Gavea 4' 3"
2 Front Line 3' 43"
3 Bombay Duck 3' 14"
4 Animal Showdown 2' 40"
5 Big Ben 3' 37"
6 Rhapsody in Blue 5' 26"
7 Wooly Willy Tango 3' 22"
8 The Pulse 5' 20"
9 Swan Lager 2' 45"
11 Flacons de Neige 5' 1"
12 The Flasher 5' 32"
13 The Palais 2' 24"
14 Stand By 3' 30"
15 Sea Horses 3' 55"
This album is probably the most confusing I have ever made. It contains so many differing styles that it is hard to keep track of what the album is all about. A&M decided I had to have a producer and Toni Visconti was brought on board who I got on great with. A&M demanded everything from disco...(please, I know ) and that's how Rhapsody in Blue came about plus all sorts of other styles some of which I loved and some of which I didn't. Great sounds on tracks like March of the Gladiators though. Worth buying for the fact that half of the album is what I wanted to do and as it's a double album it's still worth it. The last of my recordings for A&M and the end of an era in many ways. It was recorded at my studio at my house up a mountain in Switzerland. A mobile studio was driven up to help with extra facilities and studio necessities. Unfortunately the snow came early and the huge mobile truck had to be hoisted by helicopter in order to get it back down the mountain and avoid it being stuck there for four months! If you want to know where Wakeman came from, this is the album for you. Featuring a large selection of classical (Swan Lager) and jazz (Rhapsody in Blue) influences, "Rhapsodies" plays a successful link between the Wakeman of pre and post Arthur. An important addition to any collection. Although some will argue this, to my opinion this is still a pure seventies album (and not even Rick’s last! to my opinion that’s Rock ‘n Roll prophet!). The style, the instruments and the humour is all typically of the seventies and that makes it a very good album with good and powerful songs (sea horses, summertime, the pulse) and there are also good and funny songs like Bombay duck and woolly willy tango. 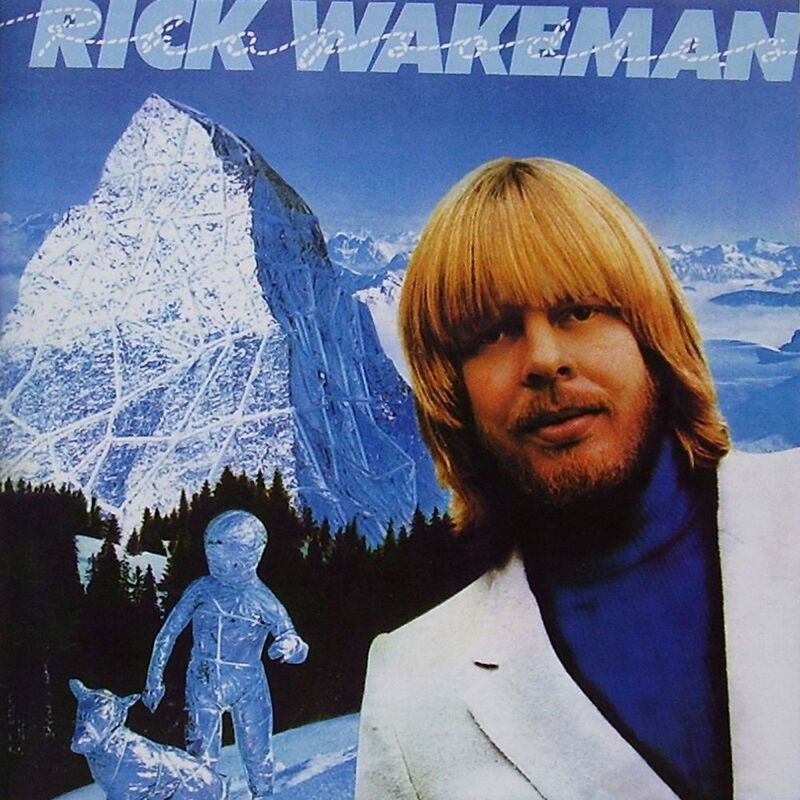 The album being long does not affect its quality; it is a very good en enjoyable listen with typical Wakeman moments, which we actually all want to hear from Rick. It is a link you don’t want to miss in your collection, there lots of them around too so it won’t be any trouble finding a copy. I love this album. The first song with the vocoder stuff is music to my ears. I've always found it interesting to experiment with the human voice and electronics.